We will reopen January 8th at 8 am. Decorate and take home a balsam wreath for yourself or as a gift. There's one more class available this weekend! Join Maya as she guides you through the creation of your own custom decorated double-face balsam wreath. 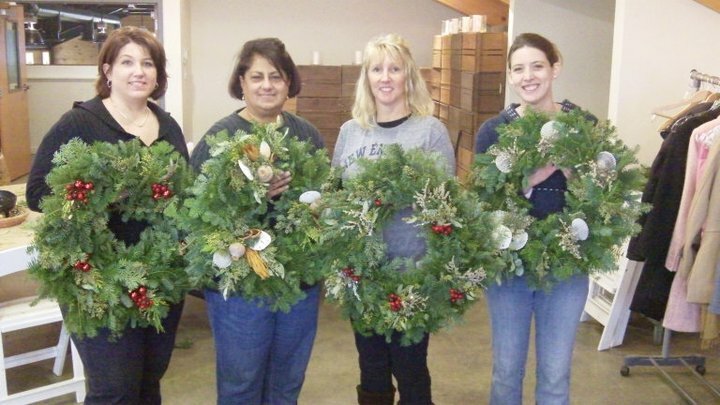 And in honor of Stroll Saturday, we are offering $10 off all shipped wreaths ordered in person on Saturday only. Do you want to make a lasting impression with your holiday gifts this year? 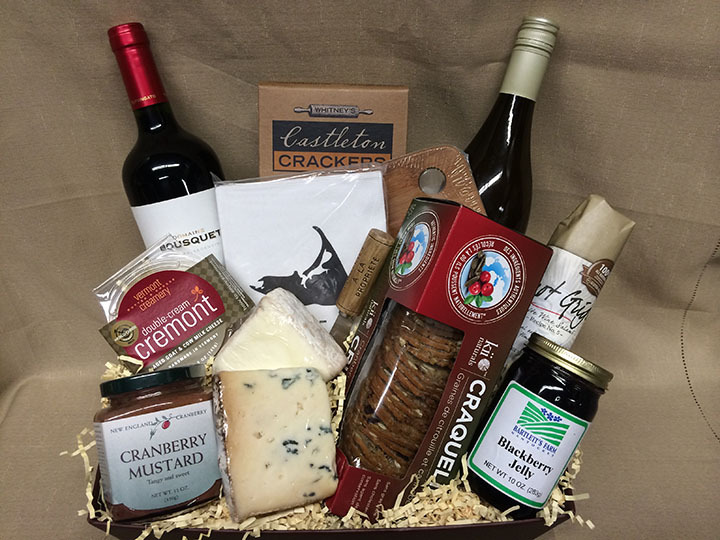 Kate has created baskets for every taste...The Snack Attack, A Tour of New England...Coffee and Chocolate...or how about baskets with one or two bottles of wine and carefully selected food pairings for your clients? Order on our website, or contact Kate to order a custom gift basket. To guarantee Christmas delivery, the last day to order is December 18th. Where are the Farm-Grown Greens? Mj has been hounding produce vendors throughout New England to try to find the freshest and best tasting greens available to us. And we promise to begin a countdown when we start seeding greens again later this winter. It's that time of year when Nantucket Turnips are abundant, and each one will feed a large family. 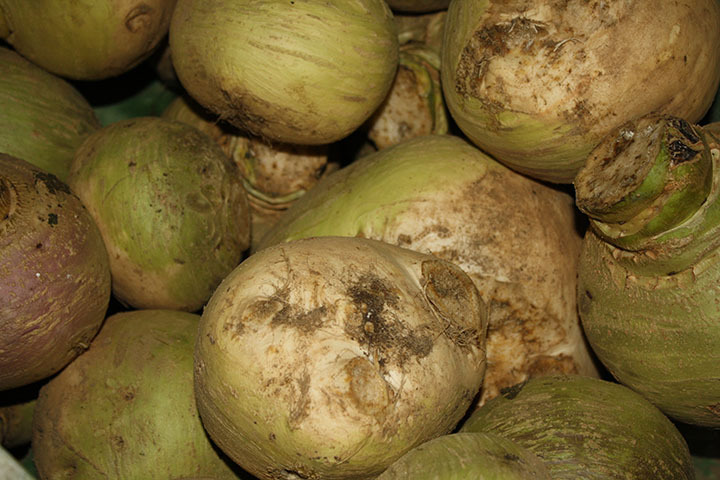 These turnips were popular among old-time Nantucketers (they were a favorite of Madaket Millie) and have enjoyed a resurgence in popularity over the last few years. Chef Neil makes a delicious slaw that you can find at the kitchen counter, and there are a few recipes in the original Bartlett's Farm cookbook. Or try this Turnip and Lobster stew recipe. Rich and aromatic fruit with silky tannins and round mouth feel. From the Wine Spectator: "Smooth and open-textured, this is layered with plum, currant, coffee and spice notes, finishing with refinement. 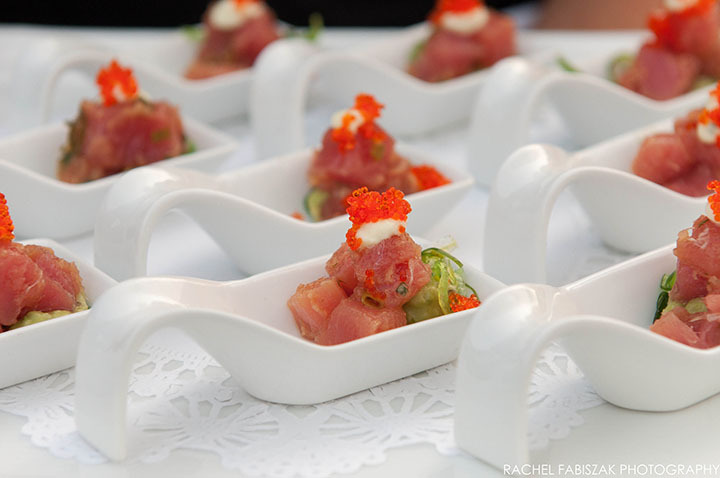 This has presence and persistence"
Customize your party with family-style, farm to table dinners for up to 60 or cocktail parties for up to 100! Watch for some great interactive Farm Talks in January!